The One Song On 'The Hamilton Mixtape' Every Woman Should Listen To Is "Satisfied"
The album everyone has been waiting for is out, and there's one track on The Hamilton Mixtape that every woman needs to hear. Well, to be honest, I'd probably recommend every single song on the retooled album, as well as every song on the original. But let's get more specific: the song I want every woman in my life to listen to is "Satisfied", which is sung by Sia and features Miguel and Queen Latifah. 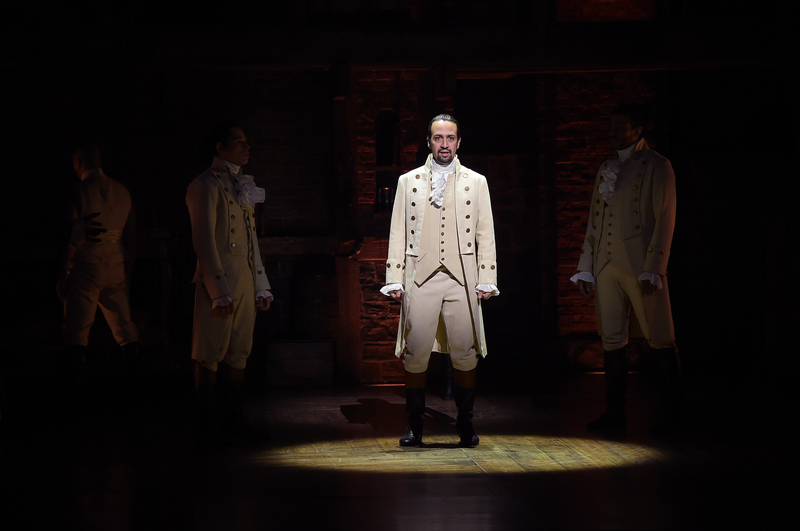 The original was of course written by Hamilton creator Lin-Manuel Miranda, and sung by Renee Elise Goldsberry on the show's Original Cast Recording. It's about the moment that Angelica Schuyler decided to ignore her own budding feelings for Alexander Hamilton, and introduce him to her sister Elizabeth, who was clearly head-over-heels for him and would later go on to become his wife. As you might imagine from that set-up, "Satisfied" is a complicated combination of regret and empathy. Angelica's love for her sister is woven in with her own resentment at having missed an opportunity for real connection, and it really speaks to me. I think many women, myself included, walk a difficult line between caring for themselves and caring for others, and it can be hard to know where that balance is. You can hear the emotion in Sia's voice as she laments her own loss while also eagerly protecting her sister from that same sensation, her life — like many of ours as women — an endless series of emotional calculations that frequently end in a silent compromise. There's undeniable value in concerning yourself with the comfort of others, but the lesson I think this song has to teach listeners is about the importance of addressing your own wants and needs as well. A course correction or two is one thing, but, gone unchecked, the instinct to put others before yourself can subsume your identity and leave you unsatisfied. It would be great if "Satisfied" offered some kind of solution, or a way to know which path is right, but that isn't how life works. It's not that easy. Instead, "Satisfied" is a reminder to stay in touch with what it is you want and need, so that a hasty decision in a moment to ignore your own instincts doesn't leave you a spectator in your own life.